Will Sweden's neighboring countries have to build a wall when Sweden becomes an Islamic caliphate? 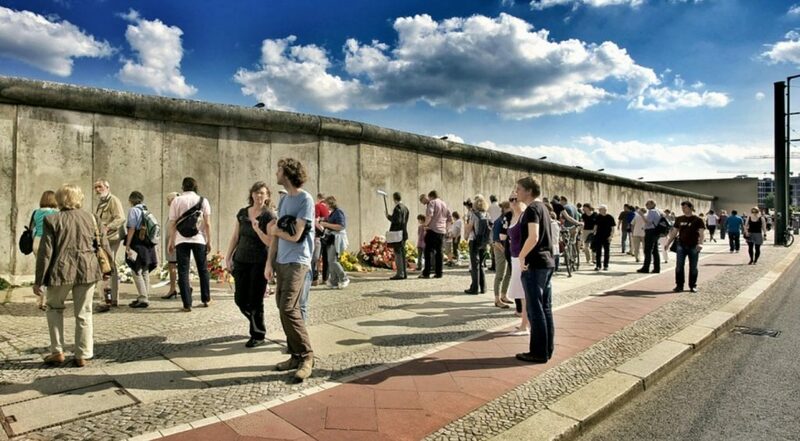 This is what it looked like when the Berlin Wall was built in 1961. Photo: Pixabay/LoboStudioHamburg. More and more Swedes now decide to leave their homeland, but the truth is that not only Swedes will suffer from the ongoing madness project, where the elite are trying to replace the population with Third World migrants. Danes, Norwegians and Finns could also end up having to flee their countries in order to avoid ending up next door to a caliphate. – I say: Let’s build a wall, and make Sweden pay for it, says Norwegian politician Hans Lysglimt Johansen. 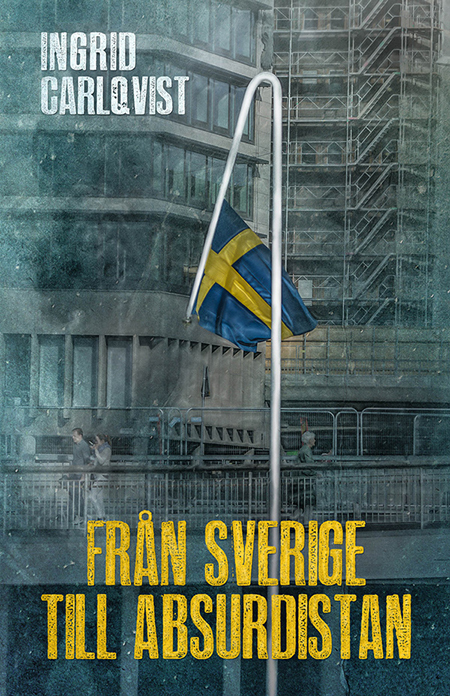 When I was a child, Sweden was the obvious big brother of the Nordic countries and our neighbors looked up to us. We had the biggest geographic area, twice the population of Denmark, Norway and Finland respectively, and incredibly successful industrial enterprises. These days no one looks up to us. On the contrary, our neighboring countries look at Sweden’s transformation into Absurdistan with fear. What difference does it make that they themselves have introduced an increasingly restrictive immigration policy, started repatriation projects, and are taking citizenships away from terrorists and other hardened criminals, when Sweden gives away citizenships like they were Christmas treats? 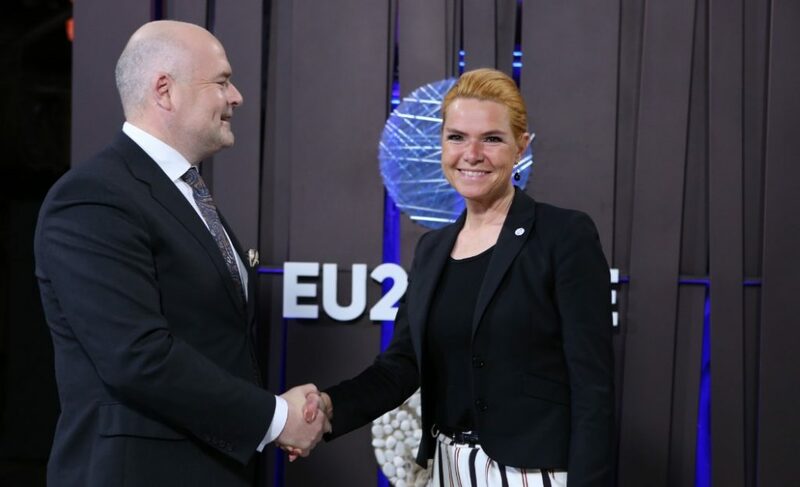 To become a Danish citizen you must shake hands with Migration Minister Inger Støjberg or another Danish representative. Photo: Wikimedia Commons. – It is a special privilege to become a Danish citizen, and a great declaration of trust from the Danish society. Therefore, as a foreigner, you should show that you want to be in Denmark and that you deserve to be part of the Danish community. What a huge difference to Sweden! While Denmark focuses on the Danish people and is healthily suspicious of strangers, Swedish politicians cannot wait to make the Swedes a minority in their own country. Sweden requires virtually nothing more from the “new Swedes,” than having lived permanently in the country for five years – or less, if you are stateless or a refugee. 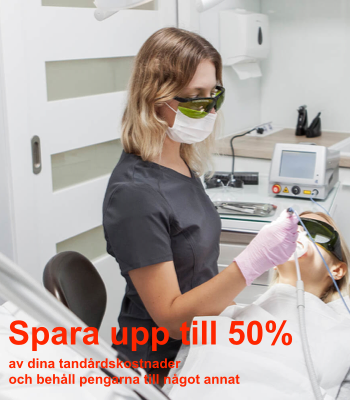 Anyone who marries a Swedish citizen can apply after only three years. In Denmark every new citizen must be approved by Folketinget (the Danish Parliament), in Sweden it is the Migration Agency that distributes citizenship. In recent years, the number of new citizens has exploded. 2016 was a first record year, when the Migration Agency gave 60,343 people Swedish citizenship – an increase of 12,094 from the previous year. At the end of 2016, the number of foreigners with Swedish citizenship exceeded one million, close to 1,012,941 people. Statistics on approved citizenships in Sweden 2010-2018. 2017 saw a new record when 68,898 foreign-born people received Swedish citizenship, an increase of 14 percent from the record year 2016. Most of those who changed citizenship during this period came from Syria and Somalia. From 2010 to 2018, a staggering 420,494 citizenships have been distributed, and on the Migration Agency’s website one can see that there are currently 86,206 open cases. 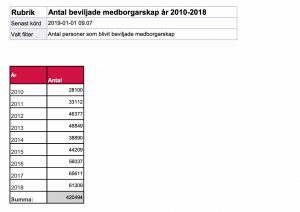 The alternative Danish media site Den korte avis recently highlighted the citizenship distribution in Sweden. The headline read: “On the road to Islamization at record speed – in just two years Sweden has distributed over one hundred thousand citizenships.” They concluded that the decline of the native Swedish population is speeding up exponentially. Denmark has now also begun to revoke citizenship from foreigners. In November 2017, an ISIS terrorist lost his citizenship when the Supreme Court decided that the man, who is also a Turkish citizen, would be stripped of his Danish passport. Danish foreigners can lose citizenship if they have turned 22, are born abroad and have not lived in or are affiliated with Denmark, or if they are convicted of crimes against national security. – It is very important that the Swedish citizenship is safeguarded, and if [we find out that] incorrect information has been provided, or that they have used bribes to acquire a citizenship, or that they are actually at war with Sweden, we think that we should be able to revoke the citizenship. – We have laws to make sure that if you commit serious crimes you can be expelled from the realm, we think that is good. But when you have become a Swedish citizen you have become equal. In such a case, other people who have been Swedish citizens could be punished in the same way, and an a-citizenship and a b-citizenship would be created. Have you ever seen such clear proof of the politicians’ desire to make things worse for their own people? It is quite on par with former Prime Minister Fredrik Reinfeldt’s statement in TV4 Nyhetsmorgon in December, 2014 – that Sweden does not really belong to the Swedish people. – Is this a country owned by those who have lived here for three or four generations, or is Sweden what people who come here in midlife make of it and develop it into? For me, it goes without saying that it should be the latter, and that we have a stronger and better society if it stays open. Kai Mykkänen, Interior Minister in Finland. Photo: Wikipedia. Finland’s Interior Minister Kai Mykkänen recently suggested that citizenship should be revoked when people commit serious crimes. The statement came as a reaction to a case where several foreigners are suspected of sexual abuse of minors in the city of Uleåborg. – You cannot come to Finland to seek protection and then create insecurity yourself, Mykkänen said. January 1, Finland doubled the repatriation grant for everyone who voluntarily returns to their home countries, from 2,500 to 5,000 euros. In early February, Denmark declared that it would drop the ambition to integrate immigrants and invest heavily in repatriation instead. 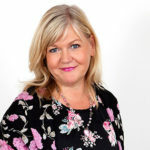 Migration Minister Inger Støjberg stated that refugees can stay in Denmark as long as they need protection – after that they must return to their home countries. – There are questions about how we take care of children in Norway, how we live, if Norway is a kingdom, how many people live here – quite simply, knowledge of Norwegian society. People on the left wing are often deeply upset by such citizenship tests and object that not all ethnic Scandinavians know the answers to such questions about their own countries. But they miss the point – if you were born here, of parents born here, you have the love of your motherland naturally. It doesn’t matter if you know what the northernmost county is called or exactly how many people live here – your loyalty to the homeland is there no matter what. Foreigners, on the other hand, must prove that they have the same love for the country and its people, and a way to prove it is to get to know everything possible about the country you want to pledge allegiance to. It is obvious that Sweden’s neighboring countries have sobered up and now understand the enormous problems with mass immigration. But how should they handle a Sweden that is being Islamized at an ever faster rate? In June 2018, a report from the Swedish Institute about Sweden’s image 2015-2017 was published. It showed that Norwegians and Danes think of Sweden as “naive, politically correct and a country with extensive social problems.” The Swedish Institute, however, reassured itself that the image of Sweden is still positive in an international perspective – something that is of course due to the fact that the farther away you are from Sweden, the less you know about our problems. Professor Paul Lillrank. Photo: Aalto University. 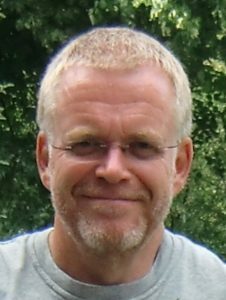 In an interview with Swebb-tv in September 2017, Professor Paul Lillrank of the Aalto University/Helsinki University of Technology said that Sweden is probably a greater threat to Finland than Russia is. 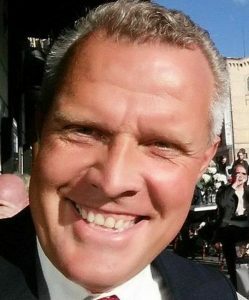 – The Swedish elite do not take, or do not want to take, the problems of immigrants who pretend to be war refugees from Syria seriously, even though [the war refugees] only make up a small percentage. The rest are young guys who are economic refugees from Iraq, Afghanistan, Morocco, who later become radicalized. It is migration reminiscent of the one that eventually broke up the Roman Empire. It is an invasion, lots of people who do not come to integrate themselves, but to take advantage of the welfare state and to create their own communities where they can continue to live as they have always done – in enclaves within Sweden. – This means that Sweden will become a so-called failed state like Sudan or Afghanistan, where the state no longer has the monopoly on violence and is not in control of its own territory. – I don’t think it will happen, says Lillrank. Build a wall against Sweden! Hans Lysglimt Johansen, leader of the relatively new political party Alliance-Alternative for Norway, tells Ingrid&Maria that it has always been a widely held view in his country that Norway is trailing 5-10 years behind Sweden. 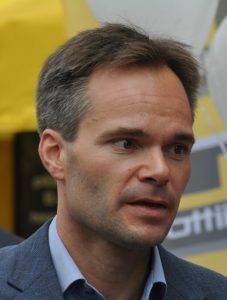 Hans Lysglimt Johansen, party leader of Alliance-Alternative for Norway. Photo: Facebook. – Until the 1980s, this lead was seen as something we in Norway needed to catch up to. Today, the Swedish development is seen as a deterrent, something we should do everything to avoid. Norwegians see that things are only going in one direction, and it gets worse and worse in Norway too, so unfortunately, we are on our way to catching up to you. In the past year we have had car burnings in Oslo, every weekend two, three cars are set on fire. And we know all too well where this leads when we look at Sweden. – The awakening is underway, but unfortunately it is going too slowly. To Norwegians, it is incomprehensible that the Swedes can be in such total denial. Even now, that the problems are plain for everyone to see, the Swedish debate continues as if everything is under control, as if Sweden and the Swedes understand something that others do not. As if Sweden and the Swedes have a kind of understanding and a moral compass that transcends that of the neighboring countries. It is incomprehensible, but at the same time it offers a great insight into Sweden’s unique problems. – But we have not yet seen any discussion about what Norway should do if Sweden becomes an Islamic caliphate. No one has even hinted that in this case, Nordic co-operation should be terminated or the border to Sweden closed. The way I see it, we should build a wall against Sweden and make the Swedes pay for it! Ingrid&Maria believe in great journalism that serves the interests of the people. If you enjoyed this article, please consider supporting us via PayPal! Well, there are clear benefits to the deranged liberalism of Sweden as compared to the sane liberalism of Norway and Denmark. Better for the liberalism to burn out than for us Scandinavians fade away. Because here in the north we have enormous advantages. And the more the evil maniacs that run Sweden destroy the very fabric of society, along with the infrastructure, the stronger us ethnic Swedes become. Not constitutionally, not economically, not by law or renown or society. But as living creatures. Living 60° north aint no walk in the park. At least not what we have built have been dismantled and the most productive people have fled and the companies have been taxed out of existence and the rest of us have been alienated. The insanity of our ruling class and the hatred they direct against our very existence is also changing our culture. Rapidly. And this is a good thing. For us with an accelerationist mindset, Sweden is a dream come true.